After Nepal was hit by the biggest earthquake in 80 years, the American Jewish Joint Distribution Committee (JDC) is aiding thousands of survivors through its relief efforts with partners on the ground, and is dispatching its disaster relief team from Kathmandu to remote villages to deliver aid and assess emerging needs in hard-hit areas. The team is assisting in the delivery of first-aid and shelter supplies, hygiene items, oral re-hydration solution, food packages and other supplies to 1,400 families over the coming days. To date, JDC has operated on three fronts in Nepal: the deployment of its expert disaster relief team on the ground; the support of locally based partners to ensure medical care and relief supplies within days of the quake; and the packing and shipping of medical and humanitarian supplies from the United States. These efforts have ensured life-saving medical treatment, food, clean water and shelter for Nepalese victims still reeling from the disaster. It has also enabled the assessment of needs and delivery of aid in real time, in tandem with changes on the ground, and the coordination of JDC’s network of local and international non-governmental partners working in Nepal. 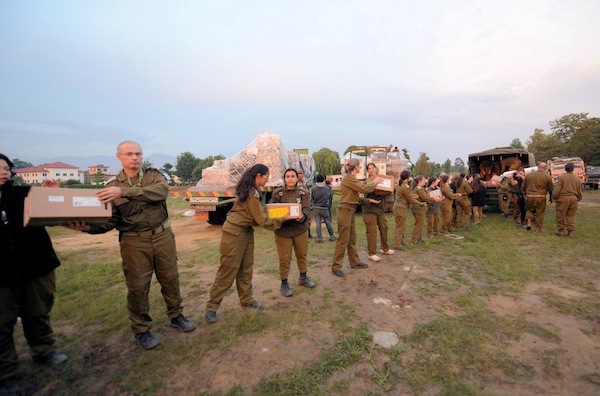 These partners include the IDF Field Hospital, Tevel b’Tzedek, UNICEF, the Afya Foundation, the All India Disaster Mitigation Institute, Sarvodaya – Teach for Nepal, Heart to Heart International and Magen David Adom. JDC has provided immediate relief and long-term assistance to victims of natural and man-made disasters around the globe, including the Philippines, Haiti, Japan and South Asia after the Indian Ocean tsunami, and continues to operate programs designed to rebuild infrastructure and community life in disaster-stricken regions. JDC’s disaster relief programs are funded by special appeals of the Jewish Federations of North America and tens of thousands of individual donors to JDC. JDC coordinates its relief activities with the U.S. Department of State, USAID, Interaction, the Israeli Foreign Ministry, Israeli agencies and the UN coordination mechanism OCHA. To contribute to the Nepal relief efforts, contact Jewish Federation of Greater Vancouver at 604-257-5100 or visit jewishvancouver.com/nepal-relief-fund.